Despite this growing awareness, the risk of fatality involving motorcycle riders was nearly 30 times that of those in a car or truck per vehicle mile traveled, according to the Insurance Institute for Highway Safety. Associates and Bruce L. Scheiner, Attorneys for the Injured, know that in recent years, even as overall traffic fatality rates of fallen, motorcycle deaths continue to climb. Our Fort Myers wrongful death attorneys have been working with the Southwest Florida riding community since 1971 and has represented hundreds of motorcyclists and their families in personal injury and wrongful death litigation. The sheer physics of a motorcycle crash mean riders are more prone to suffer serious injuries and death than those in enclosed cars or trucks. Often, motorcycle deaths are directly attributed to the carelessness of other vehicle operators. In some instances, motorcycle passengers suffer death as a result of an operator who was reckless or intoxicated. In these cases, there may be ample grounds for a Cape Coral motorcycle wrongful death lawsuit. Our attorneys have been staunch supporters of the motorcycle community in Southwest Florida for more than four decades. In 2012, the Fatality Analysis Reporting System indicated 33,560 people died in motor vehicle accidents. Of those, 4,670 – or nearly 14 percent – were motorcyclists. This is greatly disproportionate to the percentage of motorcyclists on the road. Still, we are continuing to see the number of riders increase. The Florida Highway Patrol noted recently that “motorcycle endorsements continued to increase” in 2013, which played a role in the increasing number of motorcycle injuries and deaths. Weather. Longer stretches of warmer weather and milder winters mean more riders are on the roads. Florida’s notoriously great weather makes for excellent riding conditions, and it’s a draw for many tourists. Economics. An improving economy means more people have discretionary spending to put toward motorcycles and recreational riding. Gas prices. When prices go up, so too does riding, as many view motorcycles as a more fuel-efficient option. Florida ranks high in the number of motorcycle deaths. In 2012, there were 457 motorcyclists and passengers killed in Florida, according to the Department of Highway Safety and Motor Vehicles. That represents a nearly 19 percent increase from just two years earlier. Preliminary results from subsequent years suggest those figures are continuing to climb. In 2000, the Florida Legislature exempted adult motorcyclists from having to wear helmets, so long as they carried at least $10,000 in personal injury protection insurance. This has led to an increase of motorcycle-related deaths, although in many cases, helmets afford limited protection against a 3,000-pound vehicle. Regardless, the absence of a helmet on a Florida rider or passenger does not preclude survivors from receiving compensation for one’s death. Florida personal injury law holds that a driver or rider who causes the death of another by negligence should provide compensation to decedent’s spouse, children, parents and other financial dependents. Damages to plaintiff resulting from that injury or death. Our attorneys offer a wealth of experience in proving these complex cases. 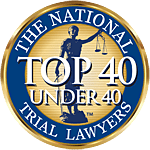 In addition to pursuing litigation against the at-fault driver and insurer, we may also seek collection of damages from the rider’s own insurer in the form of uninsured/underinsured motorist coverage. There is also a possibility the vehicle’s owner (if different from driver) could be held liable, as well as the driver’s employer and any bars or persons who served the at-fault driver alcohol under the state’s dram shop laws.